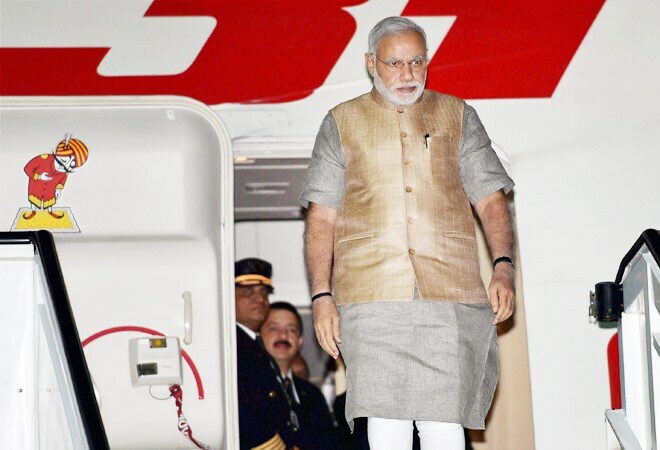 On his maiden trip, Modi will focus on deepening India's energy ties with the US. When the global leaders meet in September for the UN General Assembly Session in New York, the spotlight undoubtedly will be on the meeting between Prime Minister Narendra Modi and US President Barack Obama on the sidelines. After addressing the Assembly on September 27, Modi will fly to Washington DC for a dinner with Obama at the White House on September 29 and to attend a business meeting the next day. While officials at the Ministry of External Affairs have yet to finalise the agenda for the meeting, they have struck a cautious note. "We should not expect too much from the US trip," a senior diplomat told Business Today. Political pundits and senior diplomats believe that the meeting will break the ice between the two leaders before they meet again in November in Brisbane for the G20 Summit. In the last three years, Indo-US relations have faced several hiccups. The bilateral civil nuclear deal made no headway and India could not open the market for US players in multi-brand retail. US diplomats have been working extra hard to mend fences with Modi as Washington had denied him a visa since 2005. Ever since Modi became the PM, three US secretaries have visited New Delhi. Behind the scenes, Democratic Senator from Virginia Mark Warner and Congresswoman Tulsi Gabbard have been working hard to bring the relations back on track. Before leaving for the US on September 25, Modi will reach out to global CEOs to seek investment in infrastructure and manufacturing sectors. On September 28, he will address the Indian Diaspora at the historic Madison Square Garden in New York at a reception organised by the Indian American Community Foundation, a newly floated body comprising 300 US-based organisations. At Washington, Warner, the Democratic Co-Chair of the Senate India Caucus, is pushing for a change in the US agenda on the defence-offset regime and policies on community colleges in India. He has also sought a lifting of the FDI cap in some sectors and asked the administration to name a senior official for defence trade, review of tourist visa policy and more high-skill visas that would help Indian IT firms. "An agreement and announcements on this could be expected," says a former Indian ambassador to the US. Meanwhile, former foreign secretary Kanwal Sibal says it is most likely that the civil nuclear deal will not be on the agenda. "At current electricity prices, US reactors are unviable. The US now understands that altering the nuclear liability law is not easy. So it is out," he says. The defence purchase plan is also likely to go on the backburner. "India is not keen on a manufacturing tie-up for javelin missiles offered by the US. Getting technology transfers from the US is tedious. India might have to look at other players like Israel, Russia, France and the UK," says a senior diplomat. Experts say Modi might try to ensure gas supply from the US and seek aid in shale gas exploration. The PM will also try to bring in more investments in clean energy technology. India had recently done away with the anti-dumping duty on solar energy equipment to encourage the renewable energy sector. "The focus is on tapping solar and wind energy. We expect more MoUs in this vertical," says Robinder Sachdev, chief of the India chapter of the US-India Political Affairs Committee.